Deciding between small business accounting software like ZipBooks and Wave can be tough. Wave is free and is great for sole proprietors and smaller businesses, while ZipBooks is an affordable, tiered program that caters to businesses of all sizes. For example, ZipBooks has plans that range from free to over $100 per month. Overall, Wave is the best for the price. Wave is a free small business accounting software package packed with features for the price and is best for price-conscious business owners such as sole proprietors. However, even though Wave is free, we actually believe that it beats ZipBooks in most categories, such as its ability to integrate with third-party apps, and unless you want the highest-tier ZipBooks plan, you might also find that Wave is the best. Since it’s free, sign up today and take it for a test drive. 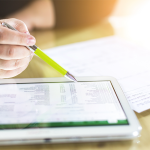 While ZipBooks is good accounting software with tiers for businesses of all sizes (including a free version), we believe that Wave beats ZipBooks in just about every area except two: accounts payable and machine learning. They let you manage your accounts payable (A/P) as well as offer a business intelligence score to keep you on track. Only use ZipBooks if you need these functionalities. While Wave might beat out ZipBooks in most categories, it still has its limitations, such as its ability to scale with a growing business. For this reason, we recommend QuickBooks Online as a valid alternative to both Wave and ZipBooks. 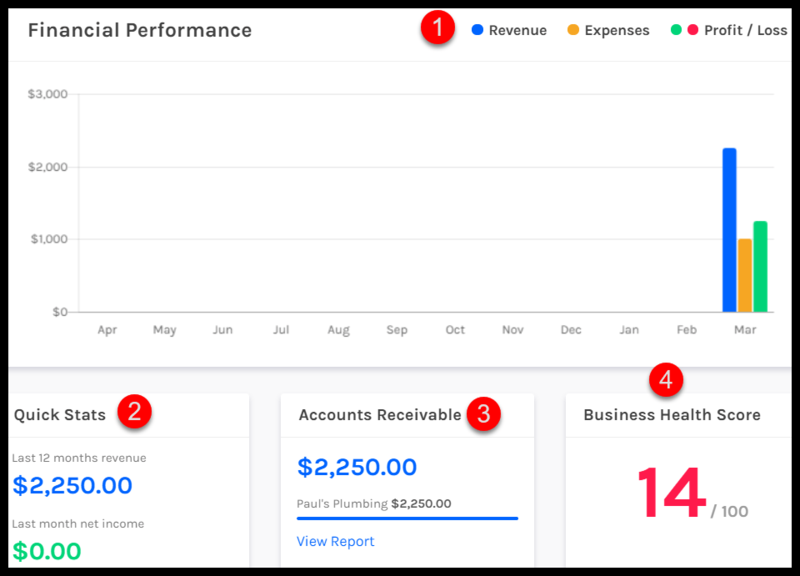 While it’s not free, it’s the most used small business accounting software, has as many as three tiers, and can be used by sole proprietors and larger corporations alike. Sign up today and receive up to 50% off. We realize that most small businesses are on a budget. Typically, business owners are interested in either ZipBooks or Wave because both offer a free version. However, ZipBooks offers four tiers for businesses of all sizes, including a premium tier that includes the help of a dedicated bookkeeper. However, Wave’s free version offers much of the same functionality as ZipBooks’ higher tiers. Create Invoices – Ability to create invoices to bill customers for products and services they have purchased from you. Connect Bank/Credit Card Accounts – Link bank/credit card accounts to the software so that transactions are automatically downloaded. Manage Accounts Receivable – Track unpaid customer invoices that are coming due or are past due. 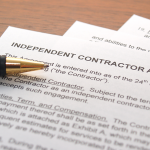 Manage Accounts Payable – Track unpaid vendor bills that are coming due or are past due. Accept Online Payments – Ability for customers to pay their invoices directly online. Produce Key Financial Statements – Able to produce a Profit & Loss, Balance Sheet and Statement of Cash Flows. Multi-User Access – Ability to give other users, such as a bookkeeper or CPA, access to your data. Both ZipBooks and Wave met five out of the seven criteria on our list. What’s interesting is that they both fell short in the same areas: managing accounts payable and producing key financial statements. You cannot automatically manage accounts payable in ZipBooks or Wave. Further, you can’t create a Statement of Cash Flows in either program. For this reason, we believe that Wave is a better bet for most businesses because it offers similar functionality at a more inexpensive price point. If you want a dedicated bookkeeper to help you with your accounting, then ZipBooks might be right for you. It might also be right for you if you want access to its business health score, which uses machine learning to keep your finances on track. Otherwise, Wave is the better product of the two. When it comes to pricing, Wave is the clear winner because you can use it for free. Again, if you were to just compare the number of features to cost, Wave is the best because it’s just hard to beat free. However, ZipBooks does offer a few features that Wave does not, such as its built-in machine learning that provides recommendations to improve overall business health. Unlike ZipBooks, which has four pricing plans, Wave has one pricing plan—free. When you sign up for a Wave account, no credit card is required. The only time you will have to pay a fee is if you use one of their add-on services, like Wave Payroll or Wave Payments. With Wave, you can give an unlimited number of users access to your data; by contrast, ZipBooks allows this for their paid plans only. The free plan (ZipBooks Starter) only comes with access for one user. If you need to give access to your data, you would have to upgrade to the ZipBooks Smarter plan. While Wave does allow you to track inventory, it is very tedious and 100% manual. All inventory activities will have to be calculated manually, including the value of each unit, the cost of goods sold, and the overall value. On the other hand, ZipBooks does not currently offer inventory tracking. If you have multiple businesses for which you need to manage income and expenses, both Wave & ZipBooks could be a good option. Each gives you the ability to sign into your account once and then toggle between businesses. With Wave, you can set up as many businesses as you want for free, whereas you will pay an additional fee to set up multiple businesses in ZipBooks. When it comes to integration with other systems, both Wave and ZipBooks could use significant improvement. However, Wave does beat ZipBooks with their three product integrations (Shoeboxed, Etsy and PayPal). In contrast, ZipBooks does not currently integrate with ANY product. When I spoke with a support rep, I did find out that they are working on their first integration, which will be Gusto. Gusto is our recommended payroll software for small businesses. Take a look at our Best Payroll Software guide for more details. Similar to Wave, ZipBooks does offer a free pricing plan. Their starter plan is free but very limited when it comes to features. There are three paid plans that cost between $15 and $125 per month. The ZipBooks Smarter plan is the least expensive at $15 per month, and it includes a number of features that you will find in Wave. The top of the line plan is ZipBooks Services, where you get a dedicated bookkeeper, a feature not currently offered by Wave. In addition, you will also get access to your Business Health & Invoice Quality Score in all ZipBooks plans, something which is not offered by Wave. Throughout the program, tips and recommendations on best practices will pop up as you enter transactions (e.g., invoices). ZipBooks will offer ways you can make your invoices look more professional and information you should include to encourage customers to pay their invoices online so that you get paid faster. The ZipBooks Starter plan is the most economical plan because it is 100% free, like Wave. This plan includes one user, unlimited invoicing and unlimited tracking of customers and vendor contacts. Unfortunately, it is extremely limited when it comes to features. For example, you can only connect one bank or credit card account. ZipBooks Starter is ideal for solopreneurs and freelancers who can’t afford to invest in accounting software but want an upgrade from Excel spreadsheets and shoeboxes. The ZipBooks Smarter plan is the most affordable paid plan offered. It costs $15 per month ($180 for the year). In addition to including the features we discussed in the Starter plan, you can connect an unlimited number of bank and credit card accounts. Unlike the Starter plan, you are not limited to the number of users who can access your data. The Smarter plan also includes an automatic billing feature so you can put those recurring invoices on auto-pilot. If you get paid based on the number of hours worked, you can easily track the time you, your employees or third-party contractors spend on a project. ZipBooks makes it easy to transfer hours worked to an invoice so that you can get paid faster. ZipBooks Smarter is ideal for a business that has heavy billing and wants to automate the accounts receivable process. The ZipBooks Sophisticated plan is the next tier after the Smarter plan. At $35 per month, it will run you $420 per year, which is well over double what you would pay for the Smarter plan. On top of what’s included in the Smarter plan, you do get access to several cool tools for that additional dough. For example, it includes a feature called smart tagging, which enables you to track income and expenses by location or project. In addition, several advanced reporting and intelligence tools are included in this tier. ZipBooks Sophisticated is ideal for a business that needs to track income and expenses by location, department or business segment. ZipBooks Services, the top of the line ZipBooks plan, includes your very own dedicated bookkeeper. Depending on your needs, the plan starts at $125 per month and is based on several factors, such as number of accounts, reporting requirements and other tasks you will need the bookkeeper to perform. ZipBooks Services is ideal for a business that prefers to leave the bookkeeping to the experts. This is a service that is not currently offered by Wave. Wave and ZipBooks are both very user-friendly programs. As part of our research, we set up test accounts in both products and entered basic transactions to see how each program worked. There are a variety of ways to navigate each program. One of the best features for both Wave and ZipBooks is the dashboard that is on the initial screen when you log in. Let’s take a look at each dashboard in more detail. Below is a snapshot of the dashboard in Wave, along with a brief description of the information you will find here. Income & Expenses – You can take a quick look at income & expenses by month or for the year without having to run a report. 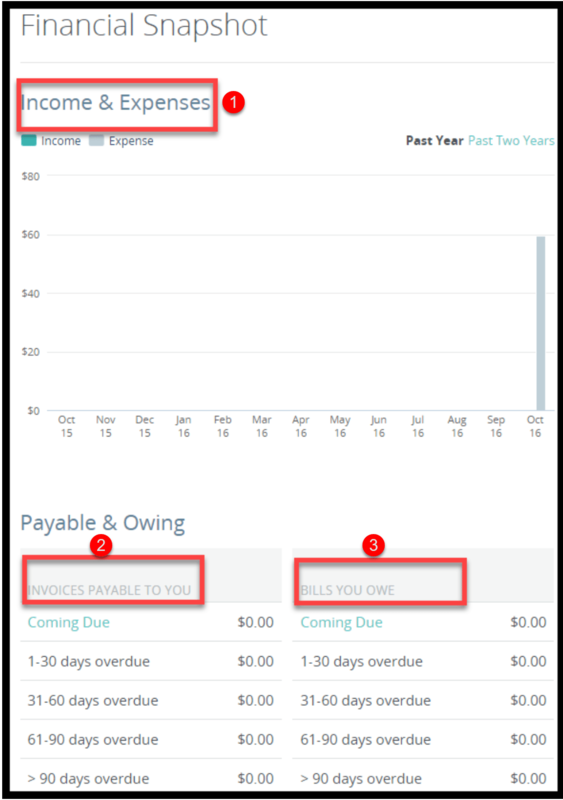 Invoices Payable to You – This section groups outstanding amounts owed to you by customers (known as accounts receivable) based on current (coming due) or overdue (1-30 days, 31-60 days, 61-90 days and over 90 days past due). Bills You Owe – This section groups outstanding bills that you owe to vendor suppliers (known as accounts payable) based on current (coming due), or overdue (1-30 days, 31-60 day, 61-90 days and over 90 days). Below is a snapshot of the dashboard in ZipBooks, along with a brief description of the information you will find here. Key to bar graph – This is the key for the bar graph. The blue bar indicates revenue, the gold bar is for expenses and the green bar indicates profit. This bar would be red (not green) anytime expenses exceed revenue. Quick Stats – In this section, you see the total revenue for the last 12 months and the net income for the previous month. Accounts Receivable – An updated accounts receivable balance will appear in this section; just click on View Report to see the A/R Aging report. Business Health Score – The overall business health score for this company is 14 out of 100. You can click on the score to see ZipBooks’ recommendations to improve your account setup, bookkeeping and billing. When it comes to options for getting help when you need it, neither Wave nor ZipBooks offers telephone support. However, ZipBooks does offer live chat support and Wave does not. Both Wave and ZipBooks have a self-service help center that includes help guides, video tutorials and answers to frequently asked questions. Submit a Support Ticket – Submit a support ticket by logging into your Wave account and clicking on the “Help” link. In general, you can expect to receive a response within one business day. Wave Help Center – In this Help Center, you will find several help guides, video tutorials and answers to frequently asked questions (FAQ) about the basics of using Wave. Chat – You can chat with a ZipBooks support agent when you have a question. You must be logged into your ZipBooks account and then you can click “Start a Conversation” to initiate the chat. Help Database – There are a number of ways to search for answers to your questions in this database. You can type in keywords, watch video tutorials or read the step-by-step help articles to learn how to use ZipBooks. When it comes to customer reviews, Wave knocks it out of the park by offering accounting software that costs their customers nothing. ZipBooks customers love how feature-rich the software is at such an affordable price. Unfortunately, neither Wave nor ZipBooks scored well in the customer service department. In a nutshell, small businesses really enjoy the benefits of using accounting software like Wave without paying for it. The user-friendly interface is also a big hit with customers. However, similar to ZipBooks, customers feel that Wave needs significant improvement when it comes to customer service. Customers don’t like not being able to talk to a live customer service rep. In addition, the response time to emails sent to the support team is very slow. ZipBooks has an average rating of five out of five stars. What customers like the most is how many features are included in ZipBooks at such an affordable cost. Unfortunately customers are not happy with the poor customer service they get when they contact ZipBooks. Now that you have all the information about ZipBooks vs Wave that you need, it’s time for you to decide which one you want to take for a test drive. As we mentioned previously, there really is no decision to be made; Wave is the clear winner. You just can’t beat what Wave has to offer all at no cost to you. With Wave, you can give access to as many users as you like and connect all of your bank and credit card accounts for free—and there’s no credit card required. As long as you don’t need a dedicated bookkeeper included in your plan, Wave is your best bet vs ZipBooks.